Connecting PTSD – or any mental health condition – to Central Sleep Apnea is a pretty common occurrence in the world of VA sleep apnea claims. 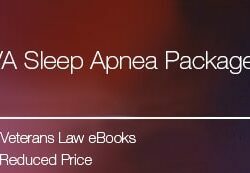 That is because Central Sleep Apnea is NOT a respiratory condition – it is a condition of the central nervous system: the brain signals to the body to breathe during sleep are disrupted due to some problem in the nervous system. And, since PTSD is known to screw with the chemistry of the brain – i.e., how the brain sends messages to other parts of the body – connecting CSA to PTSD is typically not difficult at all. The connection between Obstructive Sleep Apnea and any mental health conditions – particularly PTSD – is much harder to prove. The reason for this is that, medically speaking, it is difficult to make the nexus between a mental health condition and a physical obstruction of the airway. It’s not impossible, and I have seen it done many, many times, but it’s a challenging medical proof that requires some pretty unique factual scenarios. Today, I want to show you one of those scenarios. It involves using what I call a “bridge claim” – a bridge claim is my language, not the VAs. It is a condition that is likely not rateable, but that can be used to connect one or more medical conditions for the purposes of secondary service connection. Obesity is a very common “bridge claim”. Typically, it’s not rateable independently, as the VA commonly thinks of weight gain as a matter of personal lifestyle and not a medical side effect. But because the VA likes to blame Obstructive Sleep Apnea on “obesity” and “neck girth” …. two of the least common causes of OSA, and two of the most common consequences of OSA…. 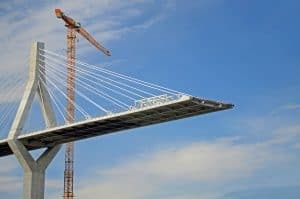 if you can tie your obesity or weight gain to another service-connected condition, and then show that the obesity or weight gain caused the OSA, you have successfully used a “bridge claim”. Recently, the Court of Appeals for Veterans Claims legitimized this practice – and why shouldn’t they. If medicine finds a connection between 2 conditions by reason of a 3rd condition, then the VA should recognize that connection as well. Let’s take a look at a recent Veterans Court appeal, where the Veteran’s key legal theory was that his obesity was a “bridge” that required the VA to service-connect his obstructive sleep apnea to his PTSD. Background of the Veteran’s Court Case. Here is a link to the full case, if you want to read the decision in its entirety. The Veterans served in the US Air Force from 1962 – 1966. There was no record of sleep apnea in his military service records. In December 2007, he filed a claim to service connect Sleep Apnea, as secondary to service-connected PTSD. Not surprisingly, the VA Regional Office denied the claim in June 2008. The Veteran appealed, and had his first Board hearing (a remand for further development) in December 2009. He had is second Board hearing in February 2011 – resulting in another remand for a medical nexus opinion on whether or not the Veteran’s PTSD and OSA were related. The C&P exam was issued in September 2011, and concluded that there was no nexus. Four years later, on May 29, 2015, the BVA got around to issuing a decision. I’m sorry but 4 years to write a decision is just f**king ridiculous. Seriously, BVA….presidents have changed the world in 4 years, and you can’t get a decision issued? Sounds like there is a swamp at the BVA needing draining. In any event, the Veteran appealed to the Court of Appeals for Veterans Claims in August 2014, and in November 2016 a single judge decision vacating the BVA Decision (i.e., erasing it because of its errors) was issued by the CAVC. Note…this claim took 8 years to get denied and decided by the Board. To put that in perspective….I had just started practicing this area of law when the Veteran filed his claim. 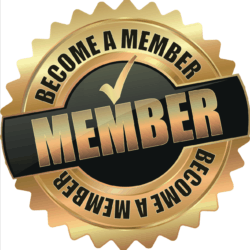 Now, I’m one of the more experienced practitioners in Veterans Benefits,and the author of the largest pro-Veteran VA Benefits blog in the United States. An attorney learned a substantial amount of the body of VA law in the time it took the VA to “do right” by one Veteran. By whose standard is that even remotely reasonable? I’d love my friends at the BVA to take a stab at answering that question. In any event, the Veteran’s primary argument was that his PTSD caused his obesity, which then caused his Obstructive Sleep Apnea. What the BVA Judge missed, and what the Examiner failed to tell him, was that there was medical and lay evidence specific to the connection of this individual Veteran’s obesity and OSA to his PTSD. At the CAVC, the VA’s attorneys at the Office of General Counsel acknowledged this oversight….and instead argued the Veteran “was not prejudiced” because the VA PTSD management guidelines only suggest a correlation between PTSD and obesity and not a causative relationship. 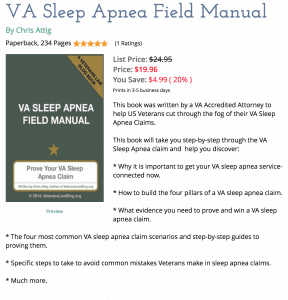 So, in the end, this Veteran’s case was kicked back to the BVA to consider the actual evidence in the case – the end result almost invariably has to be a decision granting service connection of the Veteran’s Obstructive Sleep Apnea. Knowing that, let’s take a deeper look at what medical and lay evidence the Veteran used to argue that his PTSD caused his obesity, which in turn caused his Obstructive Sleep Apnea. Understanding what evidence this Veteran used to build this proof will help YOU build a similar proof in your claim or appeal. The Veteran included two key pieces of evidence in his claim. Before I discuss them, though, I want to be crystal clear about one thing – in many cases, these will not be the only 2 pieces of evidence to include in making a proof like this. In other cases, the Veteran may still lose his claim or appeal even after including this evidence. There is no guarantee this evidence will lead you to a “win” in your claim. 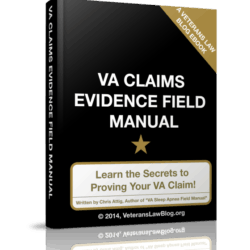 I lay out this evidence to get you to think more broadly about the different strategies you can use in proving your VA Service Connection claims and appeals. This document is known, more colloquially, as the PTSD Management guidelines. This evidence is enough to at least raise the question about whether your PTSD and obesity are related. Because these guidelines, on page 63 specifically state that Veterans with PTSD are at a higher risk for a host of medical conditions obesity. (Take a specific look at the study by Vieweg, Fernandez, Tassane, Narla and Pardurangi cited on page 250 of the VA’s report…you will have to purchase a copy of that study from the journal where it was published, but it may be even more helpful in some of your cases). Having said that, a medical opinion attesting to the connection in your unique medical scenario is the best and most helpful evidene to use. This medical opinion can be from your treating doctor (either the mental health practitioner treating you or your family care doctor working with you on your weight and other medical issues). Whoever submits it, make sure it has the “magic words” of a medical opinion. Key Evidence Item #2: Weight Charts. Get your medical records from the time you entered military service, until the present day. Comb through those records, page by page. List the date and weight of every weigh-in you had – almost every time you go to a doctor, they make you weigh in, so there should be a ton of data points here. Make a graph of those data points, with the X-axis being the date, and the Y-axis being the weight reflected. Then, overlap the dates of significant weight increases to significant events in the life cycle of your PTSD. (This same proof can be used to show knee injuries secondary to obesity or weight gain, or a host of other issues). Make a clear written argument showing how your weight increase spiked after your diagnosis with PTSD…..or after the stressor event…..or after treatment started….whenever the facts show that it spiked. Submit the weight chart, the weight graph, and a Sworn Declaration stating how you built that chart to the VA Regional Office as a separate exhibit to your VA claim or appeal. The VA may ignore it – they are as resistant to service-connecting obesity as they are to service connecting PTSD caused alcohol and drug problems – but with the inclusion of this evidence, you stand a pretty decent chance of getting the CAVC to reverse erroneous decisions by the BVA, or the BVA to reverse an erroneous VA Ratings Decision. Now, many of you are asking – what if you don’t have medical records to chart your weight changes? Well, if you have tried to get those records, but they are lost, destroyed or simply do not exist, look to Jandreau – you are competent to testify (through even a Sworn Declaration) as to your recollection of what your weight was at various points in your life, or when you remember a doctor telling you that you were obese or gaining too much weight.